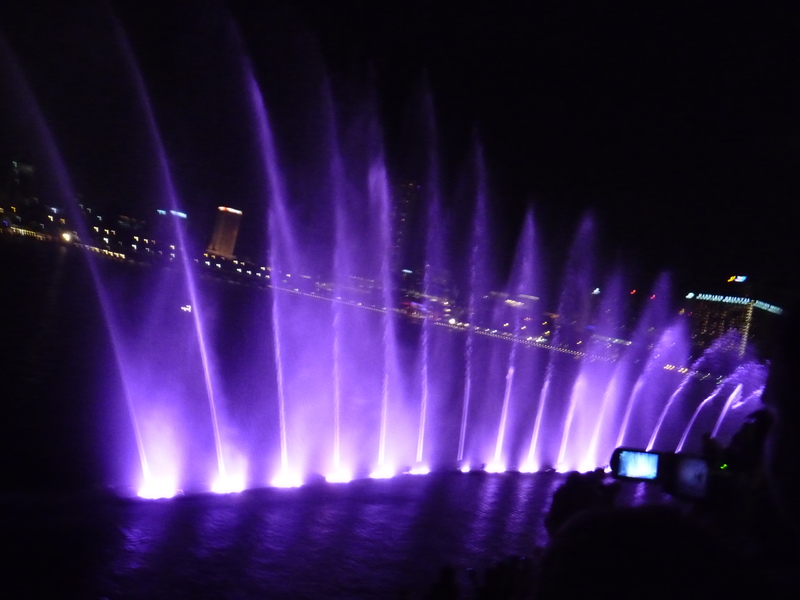 Posted by yutong24 in Travel Log. The first Friday that we were in Singapore marked my first day at work. I was extremely fortunate to have this opportunity to work for a company in Singapore for two weeks, counting towards an industrial attachment credit. Another classmate on this trip also worked here. The company that I was working for is Union-Transport, or UTi, which is a international supply chain management company. I had the opportunity to work in one of its contracted logistics and distribution warehouses in Singapore. Singapore, being a leading industrial center in Southeast Asia, is the designated transshipment hub for many companies. This means that foreign companies, which sell products in Asia, would often choose to collectively ship its products first to Singapore. From there, various products would be distributed to different regions in Asia. I was really excited to learn more about UTi and to experience the working culture and environment in Singapore. Although we were only working for 2 weeks there, our manager still had high expectations from us and wanted us to work hard. This was great, because he pushed us to incorporate more about the applications of the materials we learned in class and encouraged us to think outside of the box to solve our project issues. My classmate and I both worked on identifying and solving bottleneck issues in the warehouse, but he focused on the inbound process, which is receiving products from the manufacturer and storing them inside the warehouse; while, I focused on the outbound process, which was receiving customer orders, finding and packaging the products, and finally loading the products onto transport trucks. Many of the issues that we encountered were very unique, because they involved shipping products to different countries, which meant that different local customs, languages, and laws have to be abided. Additionally, because this warehouse was extremely well run, identifying problems became even more difficult. My classmate and I decided to tackle our projects through talking with the local employees and analyzing company data by using techniques we learned in class. Interacting with the employees really allowed us to learn more about the working culture. Although seemly Singaporeans are more laidback than Americans at work, they are still highly productive and innovative. For example, because eating at hawker centers in Singapore, or food courts, is very cheap-some people say that it is actually cheaper to eat out than too cook at home, most employees leave their work to eat out during lunch, which makes the warehouse look deserted. Back in the US, there is no clear preference or pattern among employees for eating out or bringing their own lunches. During our lunches, we were able to try many different local cuisines, such as Chinese, Indian, Malaysia, and Vietnamese, as well as exotic tropical fruits, such as jackfruit and rose apple. Although 2 weeks went by fast, we were able to learn a lot about working in Singapore as well as working as an industrial engineer. Working in Singapore not only broadened our horizon and allowed us to view issue from more of an international perspective but also gave us wonderful opportunities to interact with locals, gaining insights into their cultures. Fueled by my exploration excitement, I made a list of places to visit in Beijing. Of course, I also made a list of dishes and restaurants that I must try. 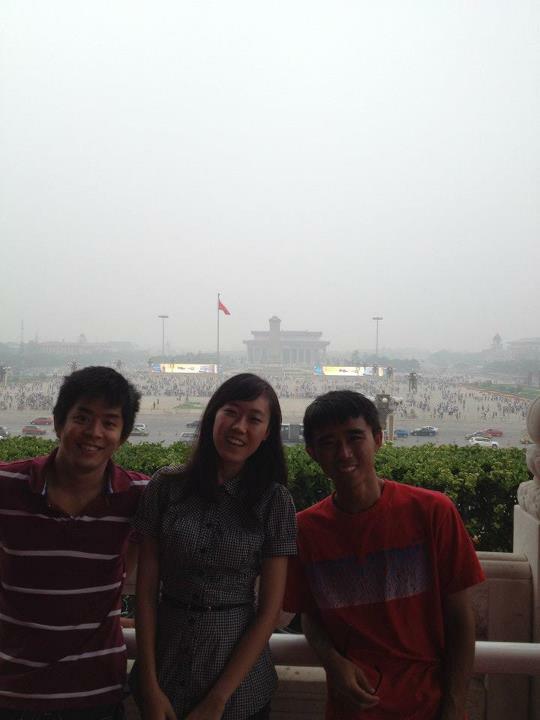 Tiananmen Square is the world’s 3rd largest square. To the south lies Chairman Mao’s Mausoleum. The east is the National Museum. The west is the Great Hall of People. 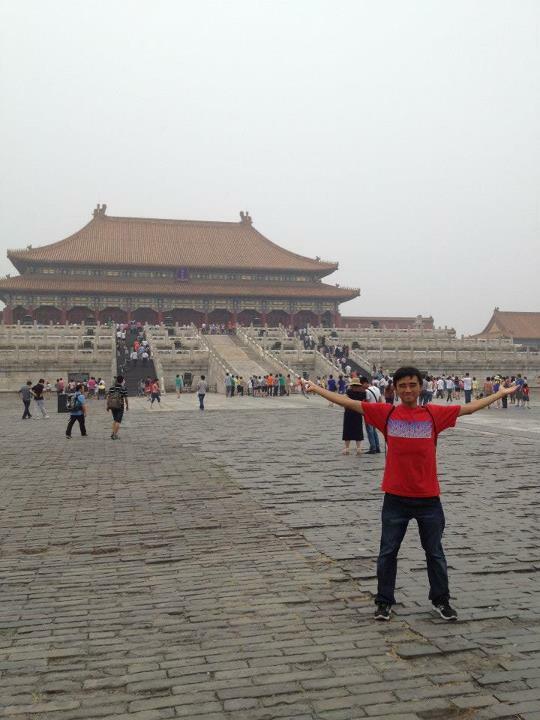 And too the north lies the Forbidden City. The mausoleum houses Chairman Mao’s body, which has been preserved. One has to bring an ID and wait in line in order too see him. The National Museum houses everything from ancient artifacts such as golden crowns and jade belts to modern calligraphy paintings. The Great Hall of the People is China’s national assembly, where laws are made and passed. The Forbidden City used to be the home of the emperors of the Ming and Qing dynasties. During the Ming Dynasty, the 3rd Emperor Yongle built the Forbidden City, which eventually became the home of the Qing emperors after the Manchurian conquest of China. It is still standing today as the largest preserved palace complex in China-however in comparison to palaces built in other dynasties it is actually rather small. It contains 999.5 rooms. The palace has a 0.5 room, because the number 1000 is considered unlucky. Near Tsinghua, China’s best university for engineering, lies the Old Summer Palace, Yuanmingyuan, and the New Summer Palace, Yiheyuan. 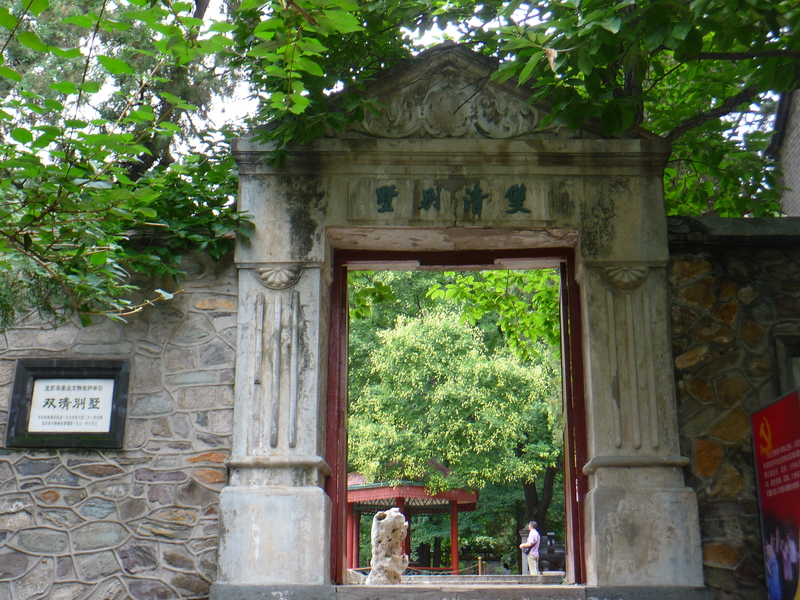 Built during the Qing dynasties, emperors used to live here during the summer to escape Beijing’s scorching heat. Each summer palace is composed of a huge garden, which is made up of many smaller gardens, temples, pagodas, and lakes. Of course, they also housed many of the emperors’ treasures. Unfortunately during the eight-nation alliance war, composing of Austria-Hungary, France, Germany, Italy, Japan, Russia, UK, and the US that China fought against and lost, the treasures were completely looted and the summer palaces were burned to the ground. Although the treasures were never recovered, the New Summer Palace has been restored, but the old one was damaged beyond repair. A little further ways from the New Summer Palace is the Fragrant Hills, known for its beauty and smell of the leaves on the trees located on the mountain, hence its name. Emperor Qianlong of Qing personally wrote a poem, describing its beauty. Twenty-eight different temples, pagodas, and pavilions are located there. Additionally, it was the home of Chairman Mao before he entered Beijing. Unfortunately its treasures were also stolen by the eight-nations and its buildings burnt to the ground. Today, the government is in the midst of restoring its former beauty. Now onto food! Beijing is known for its hutongs, or residential alleys. Today many of the traditional hutongs have been preserved. 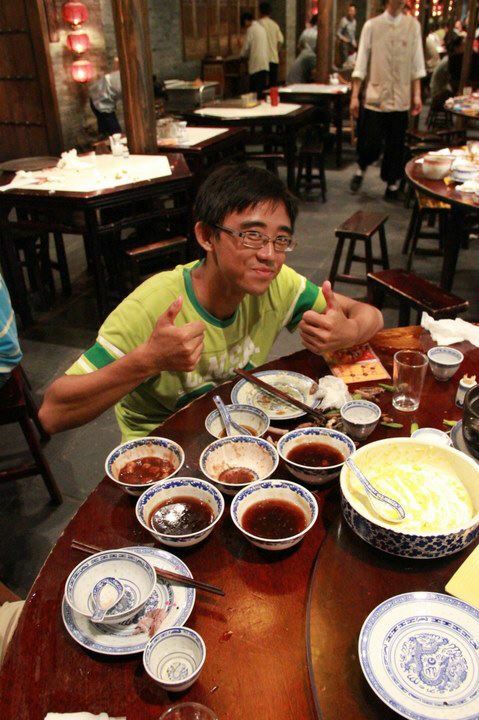 Of course because it is traditional, many of Beijing’s best food are located there. The imperial cheesecake and double-layered milk can both be found there. Double-layered milk is a dessert made from milk, where the milk has been slow (very slowly) boiled twice. The first time a milk layer with texture of yogurt jello is formed on top. The second time the bottom layer is created. Most people think of Peking duck when talking about Beijing food; however, Beijing is also famous for donkey meat-not the sticky rice this time. Donkey meat is a type of lean red meat. Chopped and cooked into pieces, which look similar to cut-up beef slices, it is stirred fried, normally with peppers and garlic, and served like a sandwich. The sandwich is actually made from handmade pancakes, similar to crispy thin pita bread. Donkey meat can also be served in small hotpots. My favorite one is donkey meat boiled with winter melon. The meat absorbs the winter melon soup, which adds a new delicious dimension to the meat. Another hotpot style is imperial donkey hotpot-yes we are in Beijing, therefore many dishes were supposedly made for the emperor-which is meat boiled with Chinese cabbage, or Napa, and cellophane noodles. 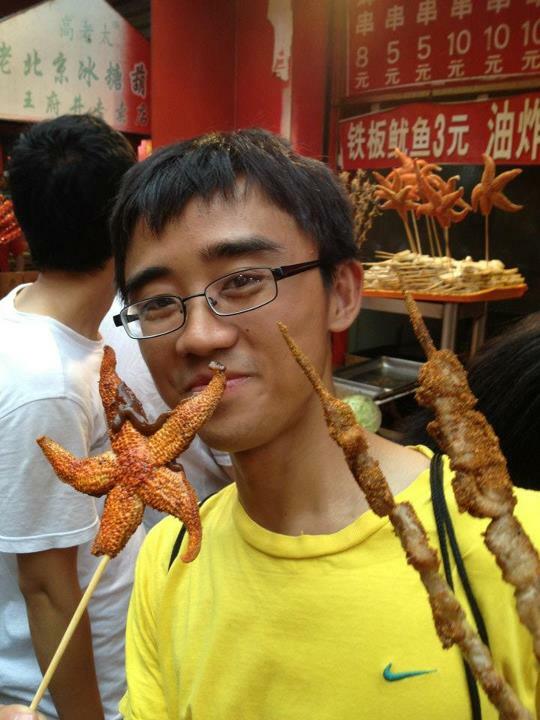 Anyways, Beijing definitely has tons of attractions and food to explore. Even though, we were here close to 2 months, I still did not explore all the attractions and food available. All I could think of after the program finished was Beijing this and Beijing that. Beijing, I will miss you! However despite the rough start to the latter half of our study abroad program, I still could not contain my excitement when I finally landed in Beijing. “Beijing, it’s been 10 years since I’ve seen you!” I thought to myself as we gradually landed. Beijing used to be my second home when I lived in China as a kid, but I could not even recognize it after 10 years. That’s how much China has changed. My initial impression of Beijing was how much larger the city grew. Also it is even more modernized and globalized than before. For example, when I was a kid, Beijing only had a handful of subway lines. Today there are 19 and the subway system is still expanding! In another 3 years, Beijing will open 3 more lines connecting its faraway suburbs with the city center. The subway system will eventually have 22 lines! Another thing I missed about Beijing is the amount of people. Yes, it’s been too long since I needed to push my way onto and out of subway trains as well as queuing up for 2 hours just to eat a traditional Imperialcheesecake, which by the way is totally different from the western version. The texture of Chinese one is more similar to western yogurt. Which brings me to another topic. Food! As I was flying towards Beijing, I started to count the number of food dishes that I needed to try. Let me talk about just a few here. Let’s start with yogurt. The yogurt that we think of is very different from the yogurt in Beijing. The Beijing yogurt is very thin and light, because it is drinkable. In fact it is even thinner than the drinkable version back in the US. This has got to be one of the things that I missed most about Beijing. I drank it so much as a kid; therefore, I could not wait to try it again. Another food that I miss is called “rolling donkey”. Ok, I know that sounds weird and no we do not eat rolling donkeys in China. “Rolling donkey” is actually a Chinese version of sticky rice cake. China has many different kinds of sticky rice cakes- yes, we make mochi too- but this one is native to Beijing and the rest of Northern China. 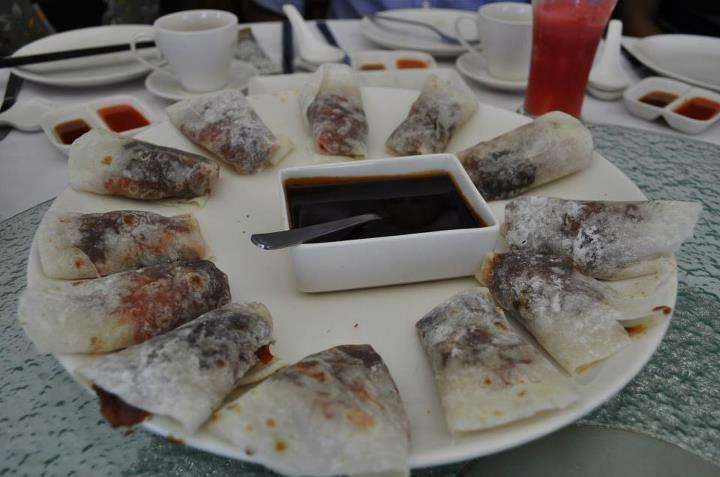 The sticky rice is rolled into a roll-hence “rolling donkey”-similar to a cream roll in the US. 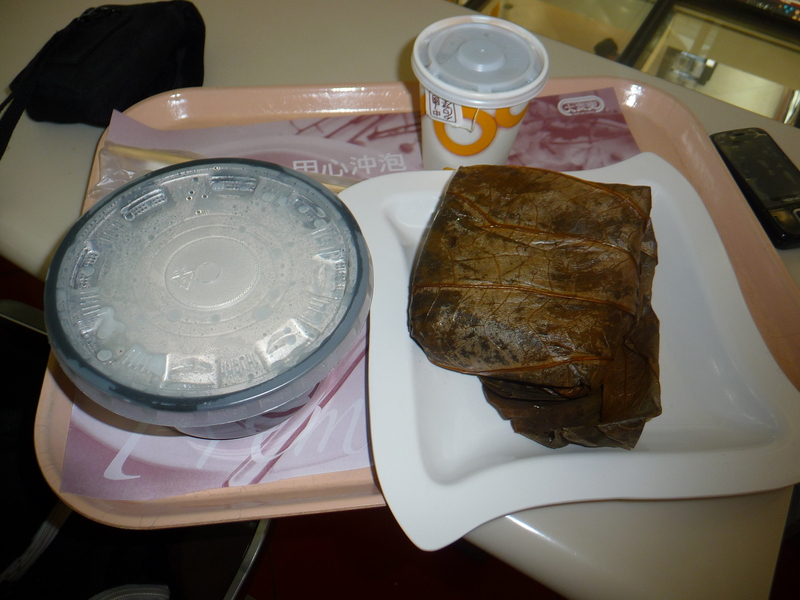 It is traditionally stuffed with red bean paste. Beijing also has a famous fruit juice that people would drink in the summer to cool off. It is known as sour plum juice. Made from real plums, the juice is deliciously refreshing, perfect to combat the hot summer heat. Ok, before I drift off into more food spill, let me at least give you a brief introduction to Beijing. Beijing is one of the “Four Ancient Capitals of China”. 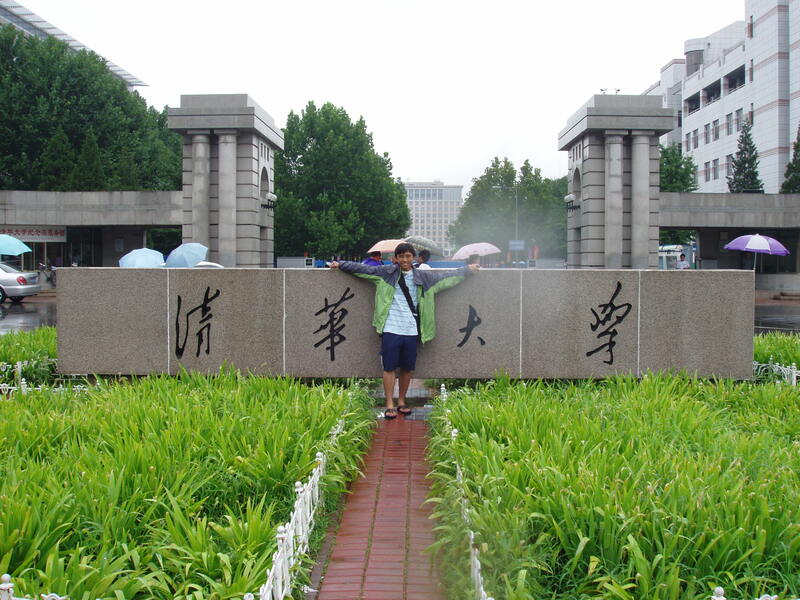 The other ones are Luoyang, Xi’an, and Nanjing. 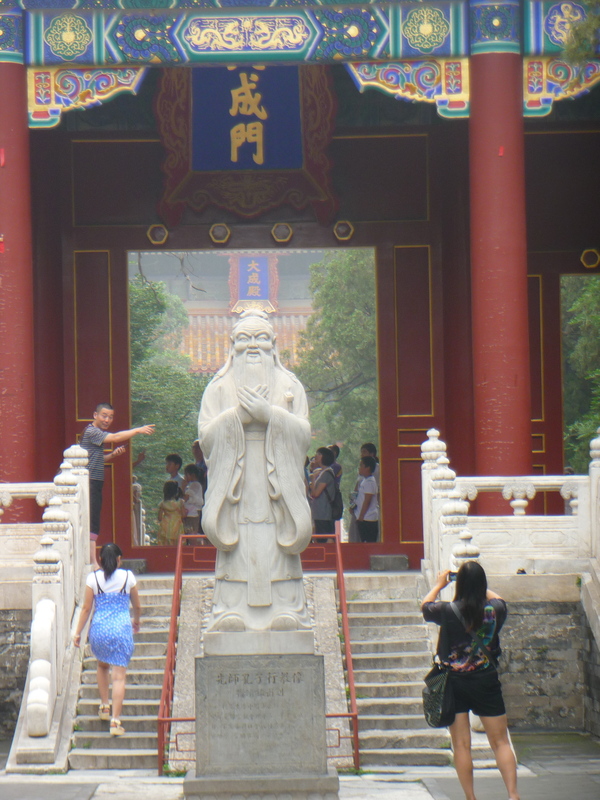 Beijing has been the capital of China since the Yuan Dynasty, almost 1000 years ago. Today, Beijing is the capital of China, serving as its political, cultural, and social center, showcasing China to the rest of the world. Beijing, I cannot wait to explore you again, it’s been too long! During our long weekends, we were given the opportunity to travel outside of Singapore on our own. My friends and I choose to visit Bangkok, Thailand and Hanoi, Vietnam on separate weekends. We were excited to visit Thailand for its unique culture. 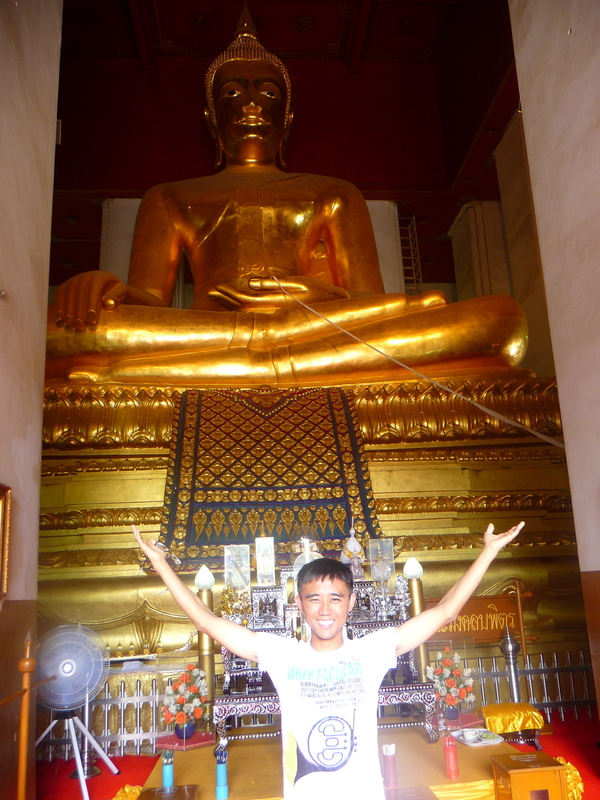 Thais are mostly very devout Buddhists. Additionally, Thai food is world-renowned for its exotic flavors. 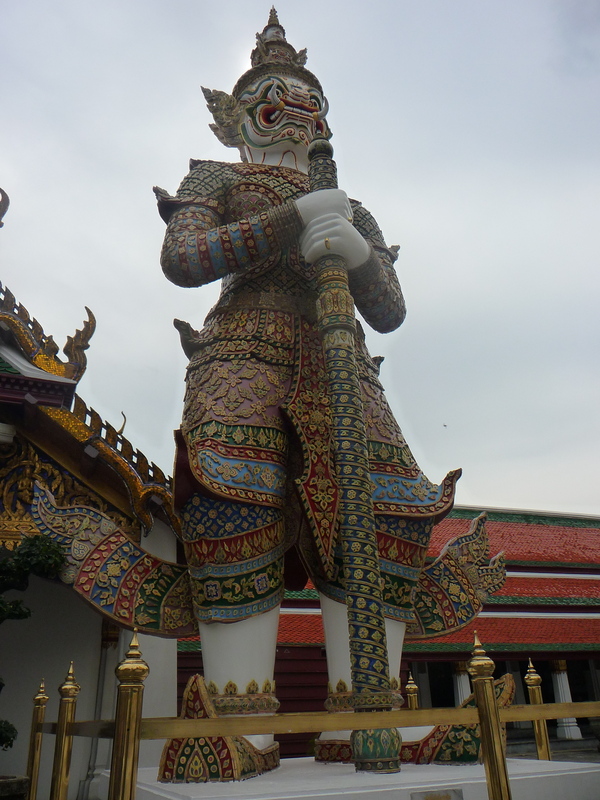 Although it was very hot and humid in Bangkok, most locals do not wear shorts, because visiting temples required individuals to wear long pants. Bangkok is very famous for its collection of temples, such as Wat Pho, the Temple of the Reclining Buddha, and the most sacred Thai temple Wat Phra Kaew, the Temple of the Emerald Buddha. The Temple of the Emerald Buddha is located inside the Grand Palace, which was the seat of the king of former Siam Empire. The Emerald Buddha is revered not only because it was delicately carved from a single block of jade, displaying meticulously details, but also because it has survived unharmed through multiple wars and disasters. 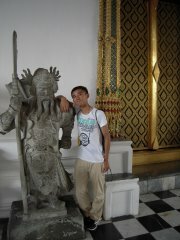 It is suppose to bring Thailand prosperity and good fortune. The Grand Palace is arguably Bangkok’s most famous and visited attraction. It is split into 3 huge courtyards, the Outer Court, Central Court, and Inner Court. The Outer Court was the area where his civil service administration resided along with the Temple of the Emerald Buddha. The Central Court was used to conduct state business and cabinet meetings with his ministers and advisors. The Inner Court was the housing location of the royal family. The palace was extremely beautiful. The roofs and doors of many buildings were gold-plated and decorated with beautiful designs and drawings as well as stunning gold dragons and phoenixes and other colorful Buddhist statues. Additionally what made the palace even more unique was architectural ingenuity. From the outside, many of its buildings combined western building structure and columns with traditional Thai doors and roofs. This made the palace look modern and traditional at the same time. 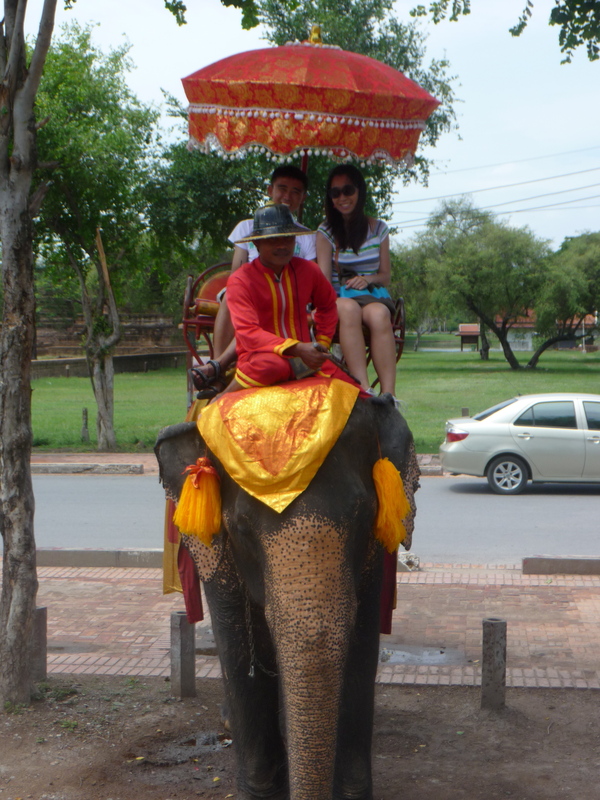 We also visited Ayutthaya, the ancient capital of the Ayutthaya Kingdom. Because it was situated between China and the rest of Southeast Asia, Ayutthaya quickly flourished into a trading capital with sources indicating that by 1700 it was the largest city in the world with 1 million inhabitants. Unfortunately such magnificent city was burned to the ground when its empire fell to the Burmese in 1767. 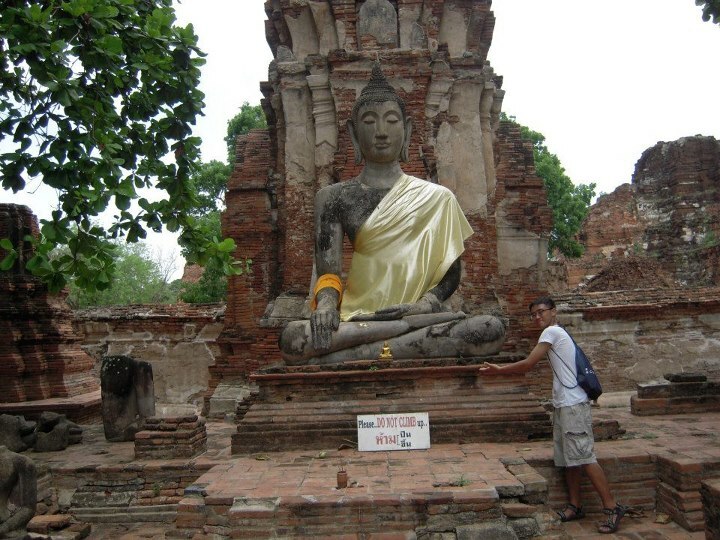 We were simply amazed by the number of preserved Buddhist structures and buildings among the Ayutthaya ruins. From the ruins the palace in Ayutthaya looks as religious as the current Grand Palace in Bangkok. And although everything was in ruins, the palace area was still huge, casting a glimpse of what the city looked like before and its beauty. One simply cannot leave Thailand without trying its delicious local dishes. We tried everything from barbecued crocodile meat to roasted pigeon to the Thai national dish Tom Yam Goong, spicy fragrant seafood medley cooked in coconut milk. Of course we also tried the tasty real Pad Thai and Thai tea as well as the famous dessert, mango served over sticky rice. Thai food was delicious, spicy, fragrant, sweet, delicate, and exotic. Additionally, tropical fruits such as coconut were extremely cheap!! Visiting Thailand not only give us plenty opportunities to visit local attraction and taste tasty dishes but also allowed us to better understand the local culture. “It’s monsoon season in Singapore right now,” said a friend. Those were the last words that I remembered as I prepared for my flight from Beijing to Singapore. Because I was arriving in Singapore late May, I imagined the country to be super humid, super hot, and super wet from all the rain. Needless to say, I was both excited by the prospect of traveling to another new country but also afraid that the weather will reduce opportunities for me to sight see. So Singapore here I come! After delaying for 2 hours in Beijing and another 2 hours in Hong Kong due to air traffic, I arrived in Singapore late evening. My impression after I got out of the airport was “wow this place is even cleaner than I thought.” The pedestrian walkways were cleaned so well that they look new every day and the roads had no litter whatsoever. What’s even better was that there was no rain! The next morning all of us in the program gathered together for a campus tour. 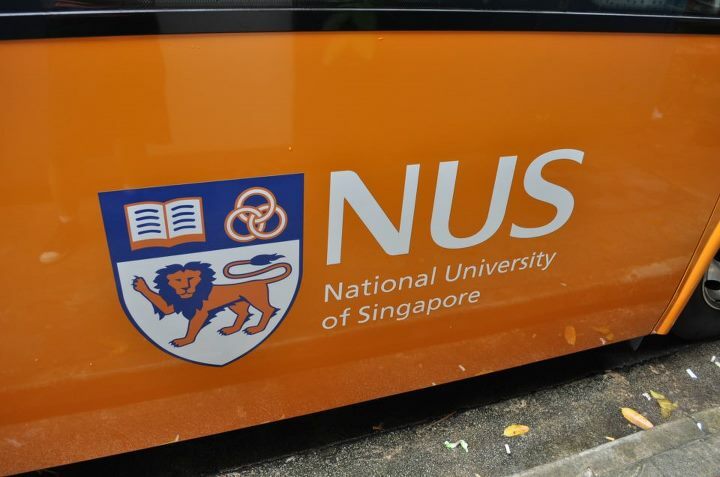 After the tour, we all thought that the National University of Singapore, our host university, is rather hilly. There were so many hills that the floors in each building were color-coded, indicating whether the floor has a dead end or connects to another building section. After the orientation class, we were treated to local snacks. My favorite was the delicious curry pastry; the shell was crunchy and crispy and the filling had a strong curry aroma. Quickly, I began to realize that Singapore, being a melting pot of Asian cultures, combines local flavors with international cuisine. The next day after orientation, our program organized a trip for us to visit Sentosa Island, which is Singapore’s island resort. Beaching, surfing, and many other outdoor sports are available. Afterwards, I had my first meal outside of campus at Vivocity, the 7-floor mall that connects Singapore with Sentosa via train. 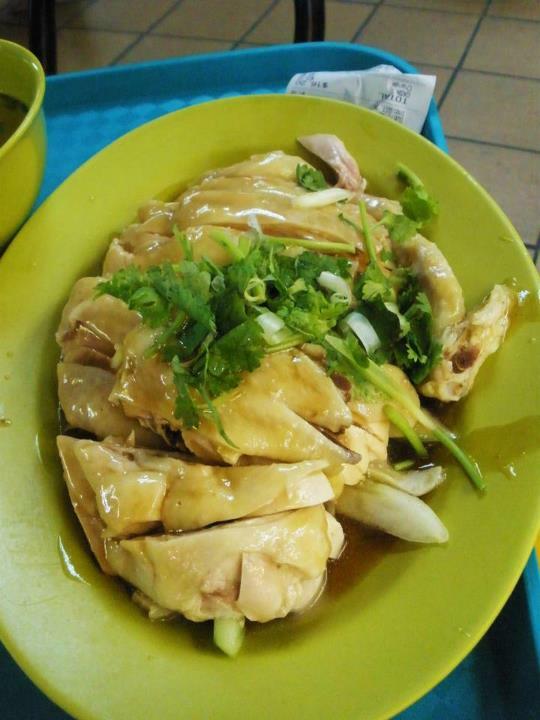 I had arguably one of Singapore’s two most famous dishes, Chicken on rice, also known as Hainanese Chicken. 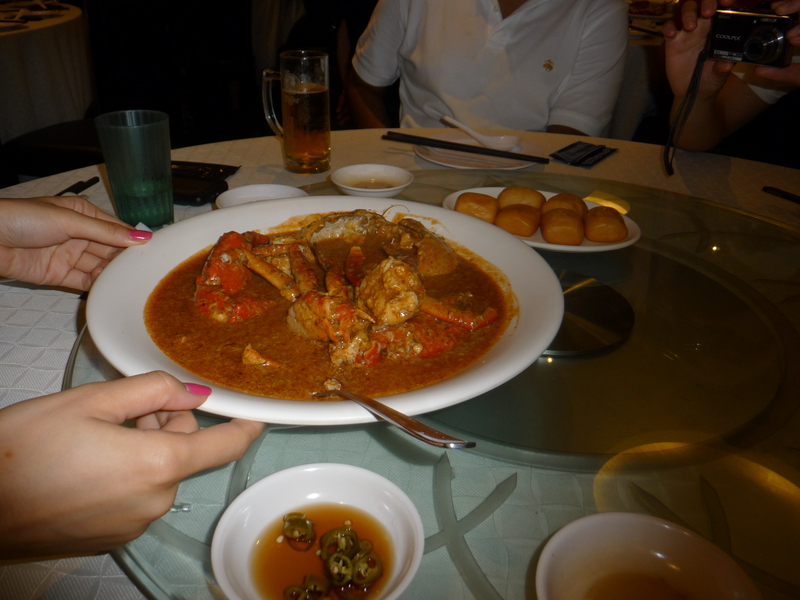 The other dish is Chilli Crab. The chicken was very tender and delicate and the rice, which is what makes the dish famous, was cooked in chicken broth, making it very tasty and fragrant. At night, we decided to visit Chinatown, which I must say was extremely clean. In fact, I’m pretty sure it’s the cleanest Chinatown on Earth! The place was also looked very traditional. The aloe vera bubble tea was sooo good. 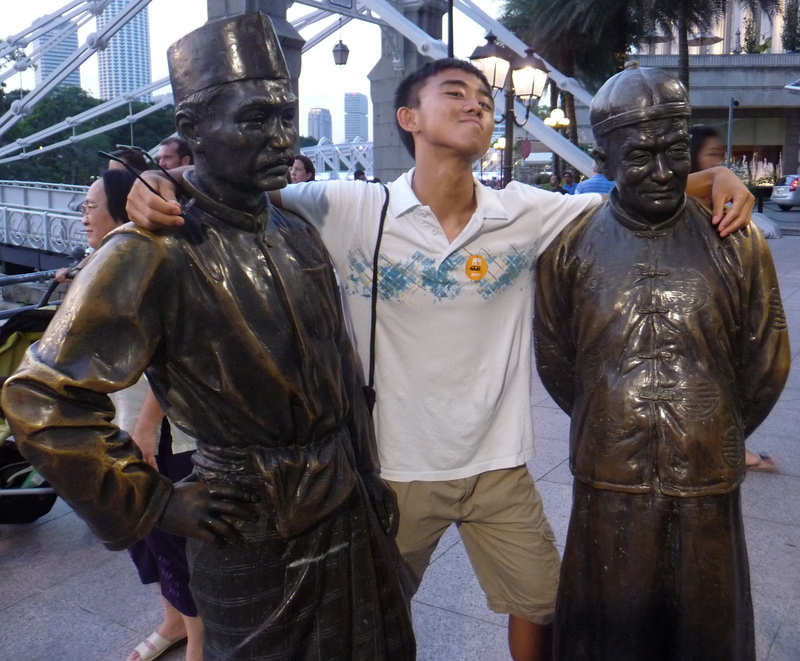 The first weekend in Singapore was both fun and exciting and it did not rain, which allowed us to explore more. Next week, I’ll be starting my industrial attachment. Can’t wait to experience working in Singapore la!